Introduction: Castaway rods is a venerable name in the custom rod building industry and continues to design and manufacture rods right here in the U.S., their newest creation is the upcoming Camo Series which is an expansion of the company�s popular lightweight Skeleton Series. 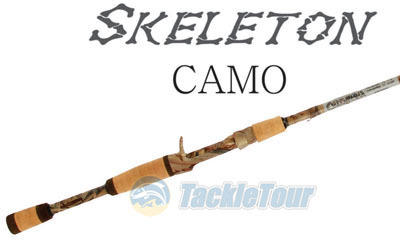 The Skeleton Series goes Camo: It seems like camo is all the rage these days. Just take one look in an outdoor big box catalog and you can order just about everything in camo from rifles to baby clothes. So why should a rod be any different? Castaway brings camo into their lineup with new additions to their Skeleton series. The current generation Skeleton rods are known for their light overall weight and crisp responsive feel. To what lengths does Castaway go to make these rods both lightweight and sensitive? The team at Castaway goes so far as to actually modify the design to utilize less cork and get this�. a reduced amount of glue. 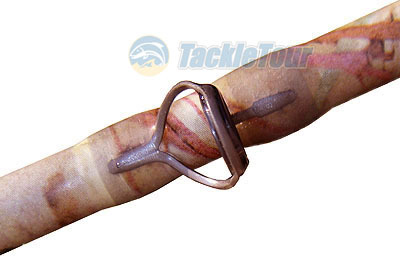 The rods also make use of a patent pending �super-exposed� reel seat that gives anglers more contact with the blank. The new Camo Series Skeleton rods will make use of the same basic arrangement as the existing rods and that includes premium components including Fuji SIC guides with a special matte finish and �invisible thread� to better blend in with the camouflage blank. 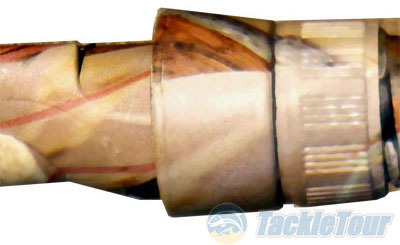 Even the custom reel seat will be match with a corresponding camouflage treatment. 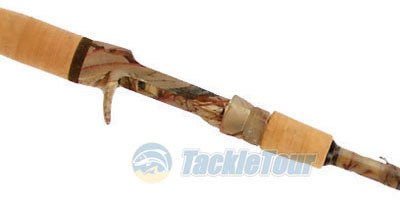 The rods will be available in King�s Field Shadow and green military digital camo patterns. 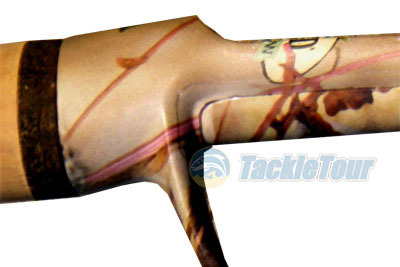 The new hydrographic printing processes allows for the production of realistic detailed camouflage finishes without adding any significant weight and without changing the action of the blank. This premium camo version of the Skeleton will retail for $299. 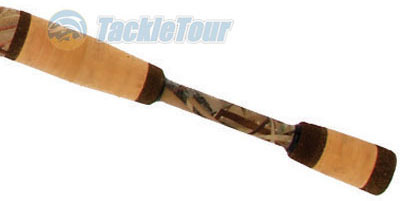 For those anglers that want a camo rod at a more mainstream price the company will also offer a full handle version with Fuji aluminum oxide guides and the standard non-camo reel seat for only $119. These more affordable Camo Series rods will be available in dark military digital and wetlands patterns. Conclusion: Will camouflage rods help you catch more fish? We can definitely see some benefits when it comes to very spooky species, but when it comes to bass it is likely more about simply having more choices. Some anglers want their rods to shout out their presence with bright orange and yellow colors, while some will prefer to blend into the background with a camouflage rod. It is for these anglers that Castaway is preparing to introduce their new series which is designed to offer the overall lightweight and sensitivity their existing Skeleton rods are known for in a new camo motif. With both a mainstream and a premium version Castaway has something for everyone this holiday season when the rods will officially be available for sale come December.